Horner's syndrome is a medical condition resulting from an injury to the channel of nerves connecting the eyes and face to the brain. Horner's syndrome is a not a very common condition but it is most often caused during childbirth. Over 65% of all cases of Horner's syndrome are related to birth injuries. What is Horner's Syndrome and What Causes it? On either side of the face there is a vital pathway of nerves connected that eye and side of the face to the brain. Horner's syndrome (also called Horner-Bernard syndrome or oculosympathetic palsy) is a unique condition that results when one of these nerve pathways is damaged causing a combination of distinct symptoms. The most noticeable features of Horner syndrome are drooping of the eyelid, constriction of the pupil size and the absence of normal sweating on the affected side of the face. Horner's syndrome is specifically caused by an interruption of the sympathetic nerve fibers which run down from the brain on either side of the face and connect with the eyes. The interruption of these nerve fibers can potentially be caused by many different things including certain kinds of stroke and carotid artery injuries. However, the leading cause of Horner's syndrome is physical damage and injury to the nerve pathway caused by childbirth trauma. Physical injury or trauma during childbirth is the most common cause of Horner's syndrome. Well over half of all Horner's syndrome cases are related to birth injuries. There are a number of different situations or medical mistakes during childbirth that damage a baby's sympathetic nerve fibers and cause Horner's syndrome or other conditions. Obstetrical complications during vaginal deliveries, such as shoulder dystocia, breach position; cephalopelvic disproportion, usually require the doctors to intervene and maneuver the baby through the birth canal. This is always a delicate process that requires a very high degree of medical skill, training and judgment to be employed in a high pressure, time sensitive environment. The use of assistive techniques such vacuum extraction or forceps can often cause excessive pressure, force or lateral traction on the baby and potentially injure the nerve pathways and cause Horner's syndrome. Error in judgment, such as failing to perform a timely emergency c-section in response to fetal distress, can also result in injury to the sympathetic nerve fibers. What are the Symptoms of Horner's Syndrome? Miosis - a chronic constriction of the pupil of the affected eye making it appearing smaller that the pupil of the other eye. Ptosis - a persistent drooping of the upper eyelid. In some cases the lower eyelid may appear elevated (known as "upside-down ptosis"). The affected eye may also have a sunken or deep set appearance compared to the other eye. Lack of normal sweating (anhidrosis) only on the affected side of the face. The pupil of the affected eye may show very little or slow dilation in dim light. In babies under 12 months Horner's syndrome may result in one eye having a somewhat lighter color than the other. How is Horner's Syndrome Diagnosed in Infants? The initial signs of Horner's syndrome in a baby will likely be identified by the pediatrician from observation and physical exam. If there are sufficient indications of Horner's syndrome, your pediatrician may use eye drops to dilate the pupils and see if they respond normally to light stimulation. The next and final step in diagnosis may be an MRI which can help to identify specific birth injuries which may have resulted in the condition. What is the Treatment for Horner's Syndrome? Treatment options for Horner's syndrome are largely dependent on the specific cause of the condition. Unfortunately, when Horner's syndrome is the result of a birth injury the options for effective treatment are more limited. There are still options for treatment and management of the condition with mediations and sometimes surgery. The long term prognosis of infants with Horner's syndrome may also vary depending on severity and whether it is diagnosed early on. In some babies, the condition may simply go away on its own or with treatment. Horner's syndrome itself may not be a very serious or disabling condition. 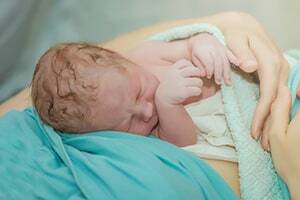 However, if a baby is born with Horner's syndrome it may be an indication of significant trauma during childbirth that might have caused more serious injuries. Horner's syndrome could the first indication of birth injuries like Erb's palsy or Klumpke's palsy - both of which can be caused by the same type of birth trauma that causes Horner's syndrome. If you baby has been diagnosed with Horner's syndrome there is a possibility that it may have been caused by medical malpractice during childbirth. It is also possible that your baby may have more serious injuries. Miller & Zois birth injury lawyers can fully investigate your case at no cost to you. We can find out exactly what happened and tell you whether you have a claim for malpractice. Call at 800-553-8082 today or get a free online consultation.